A 101 guide to cannabis concentrates and extracts from BHO and beyond. Gone are the days when partaking in cannabis meant smoking flower or infusing it into homemade edible goods. Today, cannabis consumers have more choices than ever due to the ever-expansive world of marijuana concentrates and extracts. These products come in a variety of different forms, but the thing they all share in common is their incredible potency. Although the terms “cannabis concentrate” and “cannabis extract” are frequently used interchangeably, they aren’t the same thing – and to talk about them accurately, it’s important to know the difference between them. The world of marijuana concentrates and extracts offers consumers a variety of consumption options. The Oxford Learner’s Dictionary defines the noun “concentrate” as “a substance that is made stronger because water or other substances have been removed.” This is true of cannabis concentrates – they’re much stronger than regular cannabis flower. When it comes to marijuana, “concentrates” is an umbrella term that also includes all extracts. This means that while all cannabis extracts are concentrates, not all cannabis concentrates can be considered extracts. Why is this? A marijuana concentrate uses mechanical methods to collect the plant’s trichomes (which are packed with cannabinoids such as THC and CBD). Meanwhile, a marijuana extract takes the added step of using some sort of solvent to strip the trichomes away from the plant material. Using this basic explanation to lay out the difference between concentrates and cannabis extracts, hash would be considered a concentrate, as it uses mechanical methods (sifting through screens or even bubble bags) to remove trichomes. Meanwhile, BHO wax is a concentrate, but specifically, it’s an extract (because manufacturers use butane to extract the desired cannabinoids and terpenes). Over the years, cannabis consumers have developed a wide variety of concentrates that are used by medical patients to get a more carefully-controlled (or stronger) dose, as well as recreational consumers looking for exciting and intense new ways to enjoy their favorite herb. Here are some of the most common cannabis concentrates and extracts, how they’re made, and how they’re typically consumed. Butane hash oil (often referred to as BHO or butane honey oil), is an umbrella term for several different concentrates (including shatter, wax, crumble, etc.). Butane hash oil is a marijuana extract that’s made by forcing butane through plant material. After the extraction process is complete, the resulting substance contains no plant material – just high percentages of the cannabinoids and terpenes that give cannabis its effects, taste, and flavor. Depending on how BHO is handled, it will either remain in an oil form or harden into one of its other forms. Sap: soft and oozy, but not as runny as oil. Wax: one of the most common forms of BHO available on the market, wax is solid, but soft and pliable. Crumble: A bit harder than wax, crumble easily breaks apart when handled. Budder: a whipped, highly pure, and rare form of BHO, budder has the smooth consistency of butter. Pull and snap: BHO that can be pulled and snapped into smaller pieces (similar to taffy). Shatter: BHO in its hardest form, shatter takes on the consistency of glass. Next to wax, this is one of the most widely available types of BHO. Butane hash oil (BHO) is a cannabis extract that can take many forms – from runny oil to glasslike shatter. One of the biggest questions people have when dealing with different types of marijuana concentrates for the first time is how to consume them. As BHO is so different in appearance from traditional marijuana flower, it’s common for novice consumers to end up with a bit of shatter or wax and have no idea what to do with it. There are also special vaporizers – from larger desktop models to portable vape pens – that are made for dabbing. Not just any vaporizer will do, however; it’s important to use a model that’s specially-designed to handle these kinds of cannabis concentrates. Failure to do so will result in an oily mess and will likely damage the vaporizer. BHO can be found as a high THC concentrate or a CBD concentrate, depending on the strain it’s extracted from. Live resin is a type of BHO that many consider to be the “champagne” of cannabis concentrates. Highly sought-after, it perfectly preserves the terpenes and flavor profiles of the cannabis strain from which it’s extracted. This happens when manufacturers flash-freeze cannabis plants mere minutes after they’re harvested, rather than curing them (as is done with the plant material used for most BHO products). The result is an aromatic, flavorful marijuana extract with a robust terpene profile and potent levels of cannabinoids. This concentrate is consumed just like any BHO product – with a dab rig or vaporizer. Live resin that’s properly manufactured will feature a balanced amount of crystals (created when the THC is extracted) and liquid (the terpene extract). It will range in color from a beautiful light gold to a warm amber tone. Because of the extra care that’s taken in the processing of live resin, it’s one of the most expensive cannabis extracts. Every cannabis plant is covered in trichomes. These tiny, resinous glands contain the cannabinoids that give marijuana and even hemp the effects that make them so valuable to medical and recreational consumers. When these trichomes dry and fall off, they’re known as kief – and they’re one of the oldest kinds of cannabis concentrate. One of the oldest cannabis concentrates, kief is the trichomes or marijuana pollen that fall off of the flower when it’s ground or handled. 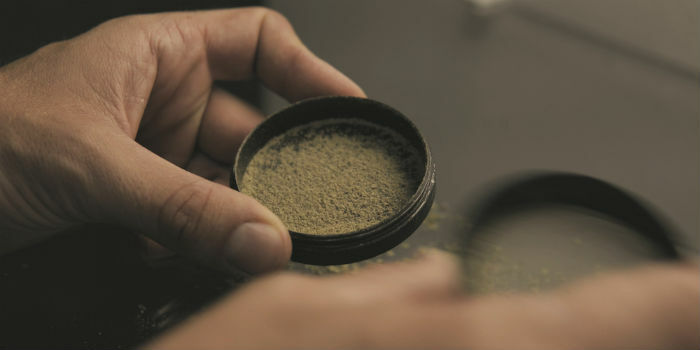 Kief can be harvested as a by-product of marijuana flower by collecting it in the bottom of a four-piece herb grinder. It can also be collected in a more direct fashion by various means. Dried herb can be placed on silk screens and manipulated or pounded, forcing the pollen to fall into a bowl or collection tray beneath. The collected kief can then be pressed into hashish – potent discs or balls of sticky marijuana pollen. Flower can also be wrapped inside filter bags and placed in ice water. This process freezes the trichomes and breaks them off of the plant material, and it’s how bubble hash is made. The consumption of kief or compressed hashish doesn’t involve any specialized equipment. Some people break up hash or sprinkle kief inside marijuana or tobacco cigarettes. They can also be smoked in pipes or bongs. Kief can also be used to create marijuana-infused edibles. In order to activate the cannabinoids and enjoy their effects, however, it’s important to decarboxylate the kief first. This involves heating it – many people simply spread it on an oven-safe dish or baking sheet and put it in a 250-degree (F) oven for about 20 minutes. Once it’s decarboxylated, kief can be mixed into tea, hot chocolate, baked goods, or other edibles. If live resin is the champagne of the cannabis world, then moon rocks are its caviar. Cannabis moon rocks combine traditional marijuana buds with two types of marijuana concentrates: BHO and kief. Specifically, moon rocks involve dipping a marijuana bud into BHO before rolling it in kief. When moon rocks were first developed, people used the Girl Scout Cookies strain to make them, but fans of this type of cannabis concentrate can use any strain they prefer. Treating marijuana buds in this way can nearly double the amount of THC in them, creating potent nuggets that can run as high as 50 to 64 percent THC. Moon rocks can be broken up and smoked in a pipe, a bong, or a bubbler. They can also be distributed throughout a joint. Because they’re coated in kief, consumers should take care when handling them. It’s important to avoid grinding moon rocks in a dry herb grinder, as this will result in loss of the kief. Known as the caviar of cannabis concentrates, moon rocks are marijuana nuggets coated in butane honey oil before being rolled in kief. Cannabis oil is a cannabis extract created by using a solvent to create a cannabinoid-rich oil. Depending on whether the oil is made using hemp or marijuana (and depending on the marijuana strain used), cannabis oil can be extremely rich in THC, high in CBD, or have a balance of both. Rick Simpson Oil (also known as RSO or Phoenix Tears) is a full-full-spectrum cannabis oil, meaning that it contains a wide range of terpenes and cannabinoids that include THC as well as CBD. It was created by Rick Simpson, a Canadian engineer who created the concoction to cure his skin cancer. He began sharing his recipe with the public and gave his oil away for free for some time before being arrested and targeted by Canadian law enforcement. Today, Simpson lives in Europe but he still promotes the effectiveness of his oil recipe, which is made by soaking cannabis plant material in ethanol, butane, or another solvent to extract the cannabinoids. Many versions of “Rick Simpson Oil” are available online, but Simpson maintains that he has no association with any of these products and encourages consumers to make their own if possible. Cannabis oil and RSO make excellent alternatives to smoking marijuana flower – particularly for medical consumers who need a potent, carefully-controlled dose of THC or CBD. The oils can be taken orally in a variety of ways. Some people simply use a syringe to place a small amount directly in the mouth. Specific amounts can be dosed out and taken in capsules. Cannabis oils can be mixed into coffee, tea, smoothies, or other edibles. Many people (such as Simpson) also use them topically. Like kief, cannabis oil must be decarboxylated to maximize its potency. This means bringing it to a temperature of 230 degrees Fahrenheit either in an oven or using a coffee or candle warmer. Small, pin-prick-sized bubbles on the surface of the oil are an indication that decarboxylation is happening; once this activity ceases, the process is complete. 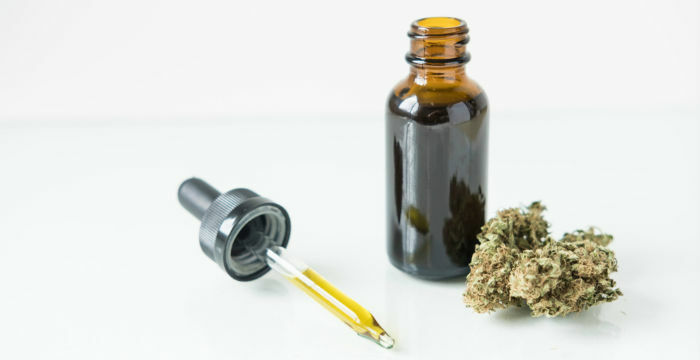 While cannabis oil is an extraction that (as its name implies) is in oil form, cannabis tinctures use alcohol extraction to create a cannabinoid-filled liquid. In the early 20th century, cannabis tinctures were a popular form of medication. Today, people are rediscovering the medical benefits of taking advantage of THC and CBD in concentrated and carefully-controlled doses. Tinctures may be applied by placing a few drops or sprays under the tongue. Taking cannabis concentrates in sublingual tincture form works faster than consuming cannabis edibles because the tinctures don’t have to pass through the digestive tract. Tinctures are marijuana extracts that can be applied as a spray or drops under the tongue. As the dictionary definition states, concentrates are stronger than the non-concentrated substance. This means that marijuana extracts and concentrates are much more potent than traditional cannabis flower. How potent? It depends on the concentrate. Marijuana flower contains various amounts of THC, ranging from less than 10 percent to well over 20 percent. Kief can contain as much as 70 percent THC. Meanwhile, butane hash oil (BHO) concentrates can contain from 60 to 90 percent THC. The effect of THC concentrates will be a powerful version of what one would experience from consuming traditional marijuana flower that contains THC. Intense euphoria, dry mouth, increased appetite, visual trails, couch lock, and an intensified auditory sense are common. In those with a low tolerance to THC, an elevated heart rate, anxiety, and paranoia are possible. Hemp can also be used to make concentrates. Hemp flower contains around 3.5 percent CBD, while oil extracted from hemp might contain up to 20 percent CBD. Meanwhile, CBD isolate can contain as much as 99 percent CBD. Similar to THC concentrates, the effects from consuming CBD concentrates are the same as consuming marijuana or hemp flower that contains lesser amounts of CBD – the effects are simply intensified. Many people experience a sense of relaxation and well-being from CBD concentrates. At high doses, dry mouth and lightheadedness can occur. Both THC and CBD are excellent at relieving pain, which is why people who are dealing with severe or chronic pain often look to marijuana concentrates or hemp-derived cannabis extracts to get relief. THC is also an effective anti-nausea agent – and one that’s frequently used by cancer patients who are dealing with chemotherapy-related nausea. Because it also stimulates appetite and quells pain, THC can help address multiple issues that cancer patients frequently face when undergoing treatment for the disease. While THC can exacerbate anxiety in those who are prone to it, studies have shown that CBD has the opposite effect. Not only can CBD calm anxiety; it can help counteract some of the anxiety-inducing effects of THC for patients who need to dose with THC for medical purposes. For years, patients have used cannabis and its concentrates to treat symptoms of cancer as well as effects from chemotherapy and radiation. Scientists have also begun to study marijuana as a potential cancer treatment – and while those studies have been promising, they haven’t yet been transformed into a real-world treatment. People like Rick Simpson feel that the studies are enough and use cannabis oil as a curative, rather than a symptomatic treatment. Concentrates such as cannabis oil are used for a whole host of medical conditions and ailments. While cannabis concentrates such as kief and hash have been consumed for centuries, extracts don’t come without some degree of controversy. This is in part due to concerns over the manufacturing process involved with extracts such as BHO, as well as the strength of marijuana concentrates. In recent years, the headlines have been filled with stories of at-home BHO manufacturing gone awry. Because the process involves butane, a highly flammable solvent, people who lack the proper equipment or know-how can easily ignite a fire – or worse. In January 2019, two California men were arrested after the home in which they were making BHO exploded. While BHO is sold in various legal cannabis dispensaries, those types of products are manufactured in carefully-controlled laboratory settings. Some manufacturers use carbon dioxide as a safer alternative to explosive butane. Another concern with marijuana extracts and concentrates is their potency. Unlike smoking marijuana flower, which allows consumers to enjoy a puff and experience a relatively small amount of THC, concentrates pack a huge THC punch – especially for those who are inexperienced with marijuana. Because BHO wax and shatter are available at many legal dispensaries, this means that they can be easily purchased by novice concentrate consumers. If they aren’t properly educated by a knowledgeable budtender or friend, it’s easy to overdo these kinds of extracts. 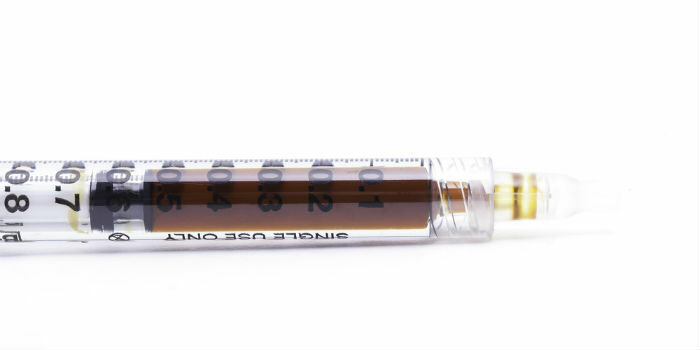 Dabs aren’t the only kind of marijuana extract that hold the potential for overconsumption. While cannabis oils make it easy for consumers to carefully control their dose, this is only the case if the oils are clearly labeled in order to educate people about how much to ingest. If a label is too complex, doesn’t feature proper dosing information, or is ignored, it’s easy for consumers to overconsume cannabis oil. Dabbing concentrates like wax and shatter leads to more intense effects than smoking marijuana flower. Cannabis concentrates and extracts offer a whole new world of choices to consumers – both those who enjoy marijuana recreationally and are looking for interesting new ways to ingest it as well as medical marijuana patients who need doses that are more powerful and precise than they can get from marijuana flower. Marijuana extracts and concentrates provide a huge variety of options, whether an individual would like to relax and smoke a bit of hashish, experience the intense high brought on by dabbing, or use cannabis oil topically to treat a medical condition. The important thing for consumers to remember with marijuana concentrates is to start low and slow. This means that novices should start with the lowest dosage possible and wait a while before trying more. While dabbing wax or shatter produces a high in a matter of minutes, drinking a kief-infused cup of hot chocolate could take an hour or more to generate effects. By remembering “low and slow,” consumers raise the chances of their experience being a positive, rather than an uncomfortable one. Bubble Hash - A guide to bubble hash: how it differs from other concentrates, how it’s made, how to use it, and why it’s so popular.